Famous for being one of the oldest cities in the country, Charleston is a known for its cobblestone streets and easy-going lifestyle. Charleston is known as “The Holy City” because of so many churches located there, making up a good part of the city’s skyline. Charleston International Airport (CHS) is a joint civil-military airport located in North Charleston, South Carolina, operated by the Charleston County Aviation Authority under a joint-use agreement with Joint Base Charleston. The airport is located in North Charleston and is approximately 12 miles (19 km) northwest of downtown Charleston. 1 CHS airport is South Carolina’s largest and busiest airport. 2017 was its busiest year on record when the airport served just fewer than 4 million passengers. 2 The airport consists of four general areas: the military area to the west, the airline terminal to the south, the general aviation area to the east, and the Boeing assembly area further to the south. 3 Charleston International Airport is classified as a security-level Category I airport by the TSA. The airport is equipped to handle international flights. 4 Both departures and arrivals are located on the same floor, with the departure area to the east end of the terminal and the arrival area to the west end. 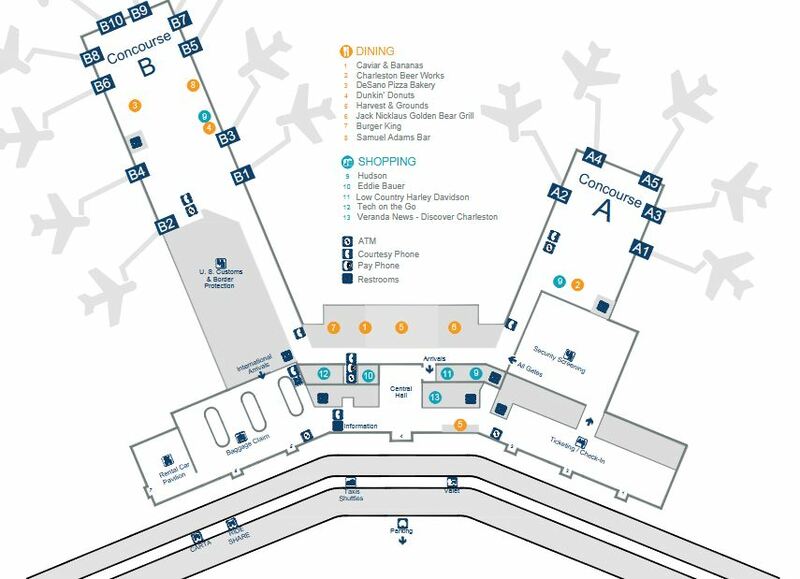 Flights depart from two concourses: Concourse A towards the east and Concourse B towards the west. Voted “America’s Nicest City” multiple years, Charleston is the perfect destination to experience the charm of the South, including beautifully well-maintained architecture, coastal views of the Atlantic and renowned dining. But before hitting the streets of Charleston, your experience starts at the Charleston International Airport where nearly 3 million travelers pass through annually. More than 3 million passengers traveling through CHS airport, it is inevitable to witness a huge rush at the airport. Turning your stressful experience into a comfortable and relaxed experience, RapidShuttle 247 is proud to serve the transportation needs of the Millions of travelers that come in and out of the Charleston International Airport, 24 hours a day, 7 days a week. Safe and comfortable: Being obvious to encounter a huge rush at CHS airport, RapidShuttle 24/7 comes up with a mission to provide a safe, reliable, and efficient transportation experience to all its customers. To make your trip to Charleston memorable, RapidShuttle 24/7 is always on its toes to bring luxurious travel experience into your life at an affordable price. 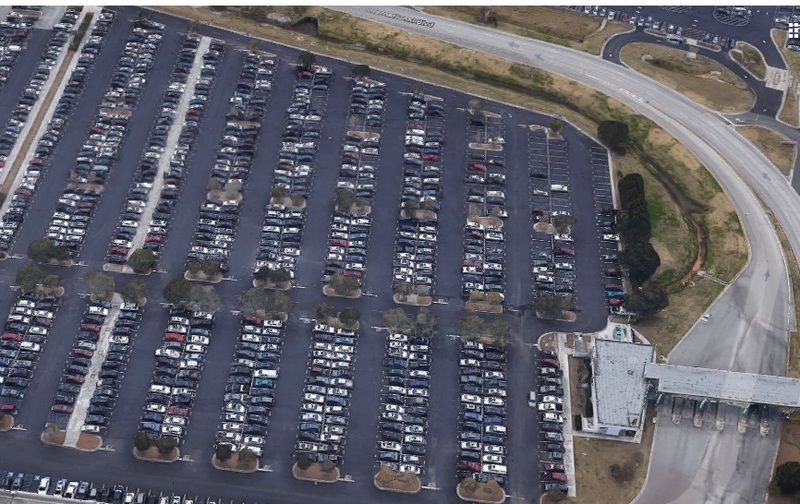 Parking gets filled up quickly, so where to park: If parking at the airport, remember spaces fill fast, especially during the holidays. So, it is wise to plan extra time in your schedule in case it takes a bit to find a space. But why to plan extra time, what will be worse than that last-minute rush for a parking space? Instead of getting bothered, you can get to your destination at an affordable and comfortable manner, without getting late with RapidShuttle 247 shuttle service. Professional and Experienced: With more than 20 years of experience in the transportation industry and more than 150,000 satisfied clients, RapidShuttle 24/7 strives to exceed all the expectations of the customers by providing them private, cost-effective, professional and courteous transportation services. All ground transportation is located in the center median outside baggage claim. Please contact our CHS Airport dispatch at +1 (888) 672-7438 and select option 2 or +1 (949) 667-2743 for further assistance. 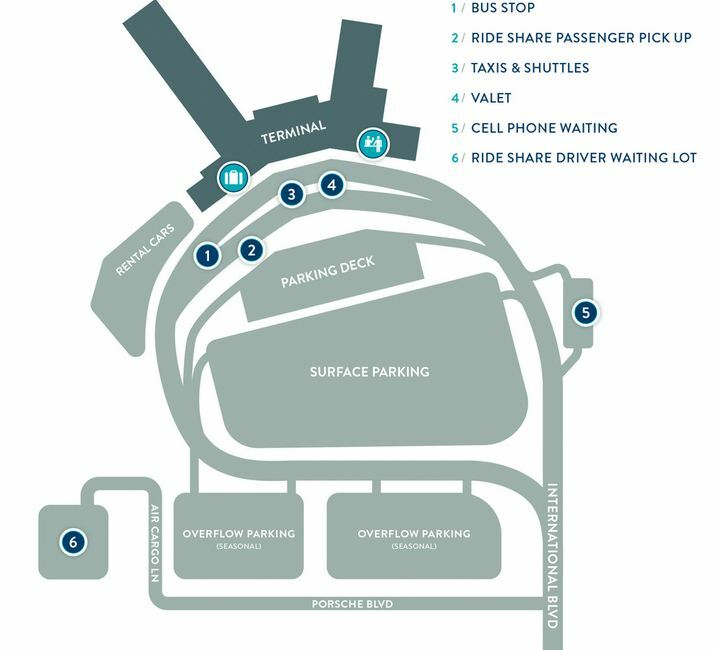 The CHS Airport dispatch will direct you to your RapidShuttle vehicle.